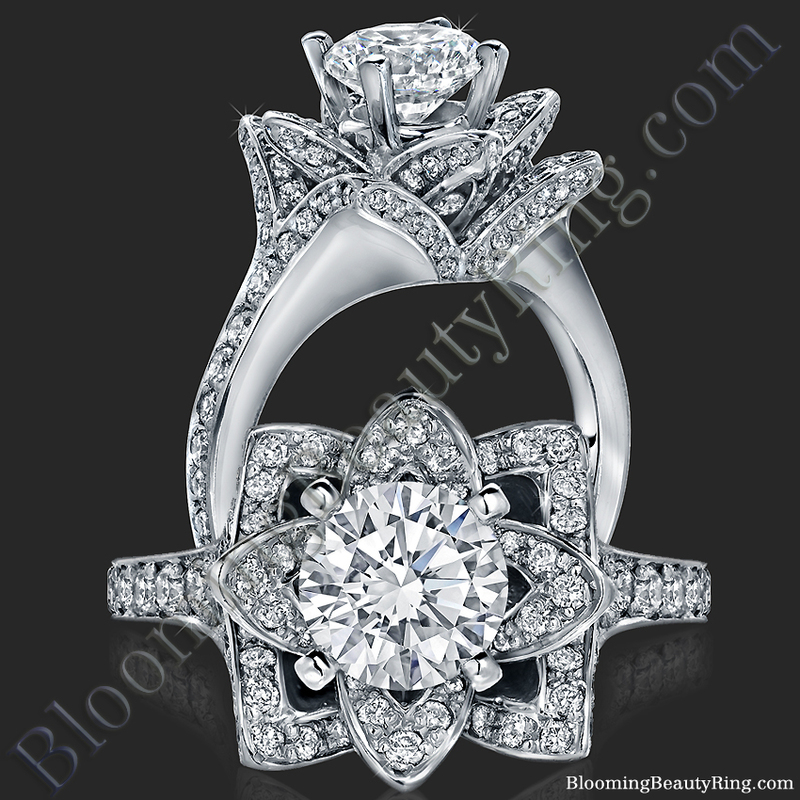 BloomingBeautyRing.com is a designer and manufacturer of unique engagement ring settings that are handcrafted using only the finest quality materials. 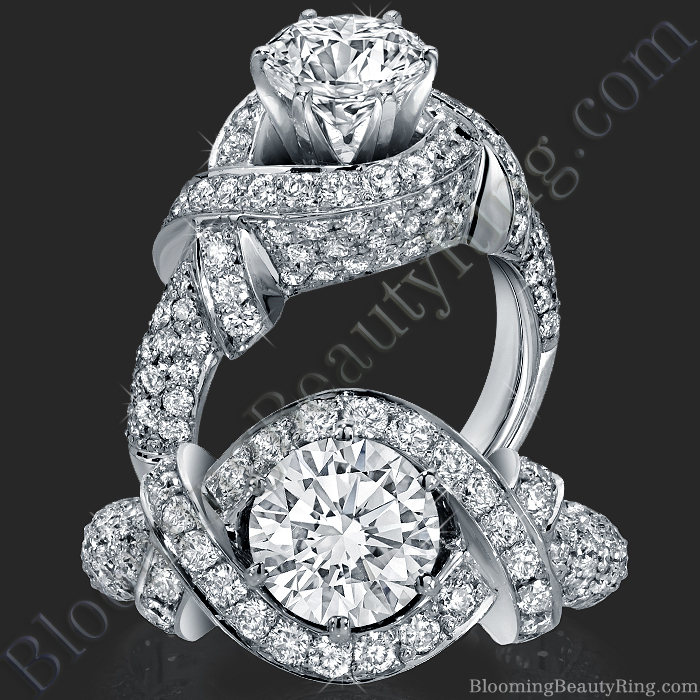 A family owned & operated business; BloomingBeautyRing.com is a jeweler that designs and creates custom engagement ring settings made by hand using high quality diamonds, gemstones and precious metals. When ordering an engagement ring from BloomingBeautyRing.com you are ordering an engagement ring that was handmade by our master jewelers, literally just for you, exactly the way you want it. Although your custom engagement ring may take a little longer to make, we are confident that you will appreciate it's superior quality for the rest of your life. Read about our LIFETIME WARRANTY. What makes us unique? 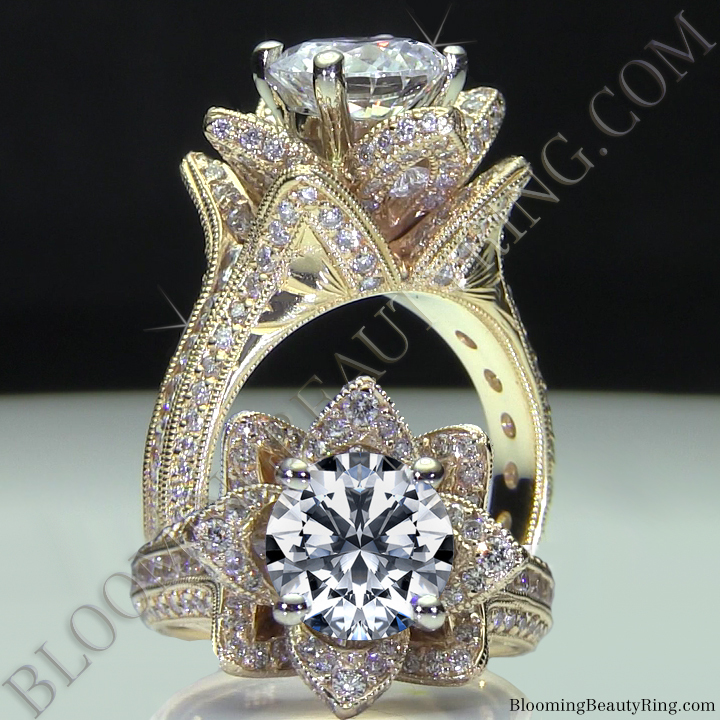 The BloomingBeautyRing.com difference. #1) Much Larger Selection & #2) Much Lower Prices. Although there are several reasons why you will experience a “Lack Of Selection” at your local jewelry store(s), I will just state the obvious one; limited space. Obviously they can only exhibit as many rings as they can fit in to the display cases, and sometimes it is really not that many. And since most jewelry stores don’t even make their own engagement rings, they can only show you the styles from the companies they carry. Quite frankly many of these styles will even look exactly like each other, so your selection becomes even smaller. (And more boring). Considering that we have well over 1000 unique engagement ring styles to choose from, and we are able to create any engagement ring design from scratch, we are not concerned about offering our customers a large enough selection. We Easily Have That Covered. However we are concerned about the quality and price of our hand-made engagement rings. Our goal as a family owned & operated business is to offer our customers the highest quality engagement ring settings at the lowest price possible. This means that we are not interested in having our rings mass produced by machines in a foreign country in order to keep costs low and profit margins high, like many of the designer engagement ring brands that you see in jewelry stores are. Not only are those “designer brands” run by large corporations with enormous overhead costs, but being sold in a jewelry store means there is another hand taking money from your wallet or purse. (And jewelry stores are not exactly known for selling engagement rings at small profit margins) The only way to solve that problem is for them to lower their quality, raise their prices, or even both! Never settle for their tactics. 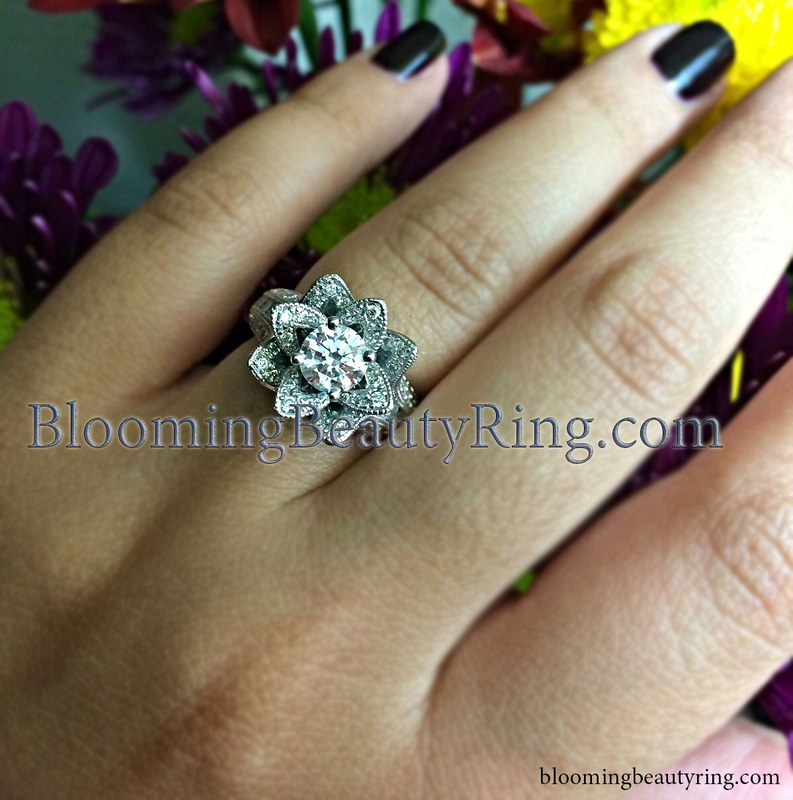 Here’s a photograph one of our customers took of her new Hand Engraved Blooming Flower Ring. There are two versions to this ring. 1.37 cts. | 1.78 cts. Not a figure 8, but a horizontal wrap of 4 layers of impressive diamonds embracing the Tiffany style head in a way that doesn’t seem to end. We understand that our customers are “everyday people” just like us. We all want the best quality product for the least amount of money in everything we purchase. As a small family owned jewelry store our best advertising is word of mouth, and we will go above and beyond to earn your respect. We always do our best to over deliver! The most common question that we hear from our customers is “Can we see your engagement rings in person prior to purchasing one?” The answer to that question is “yes” however you will have to visit our manufacturing facility in Los Angeles to do so. Since we no longer sell our engagement ring settings “to” jewelry stores or “at” jewelry stores, you will be visiting us in person. One of our latest designs. The Crimson Rose is one of our best sellers. This is a scaled down version of the larger model or accommodate smaller center stones. What You Need To Do to Visit Us – It’s Simple. All visitors are required to set up an appointment at least 48 hours in advance. The location you will be visiting is our actual manufacturing facility in the Los Angeles diamond district where our master jewelers are busy creating engagement ring settings by hand. It is not a jewelry store that is open to “Walk-In” traffic. This means that you can not just “Show Up”. All appointments are required to take place during our normal hours of operation at our shop which are Monday through Friday, 9:00am to 5:30pm. Please be aware that these hours are subject to change so we do require that you call first to confirm your appointment. 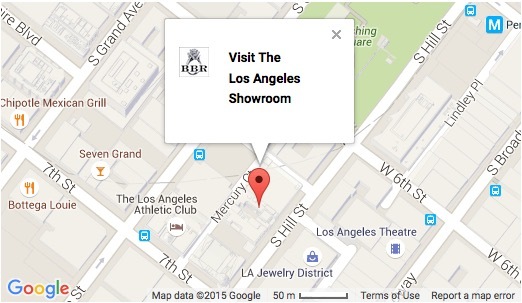 What about our customers that can not visit us in Los Angeles? We have been selling our engagement ring settings all over the world for many years now, so we are certainly aware of the fact that most of our customers can’t visit us in Los Angeles. That’s why we’ve established a 30 Day, Risk Free Money Back Guarantee. If you’re unhappy with your ring for any reason, just send it back for a full refund. Here’s are return policy.